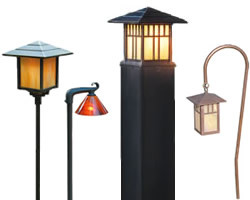 Stylized Mission style outdoor series. Warm Bronze patina. Smooth finish is accented by striated champagne linen glass. 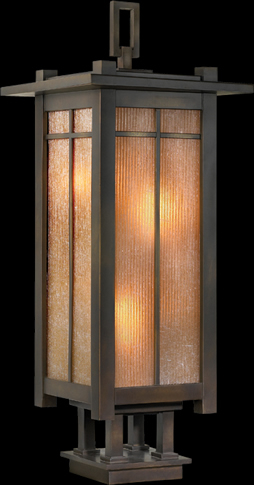 H 29" x W 15"
Large lantern in warm Bronze patina. 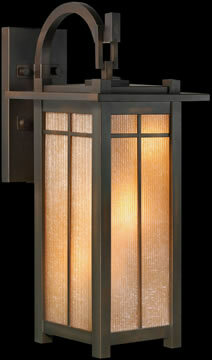 Smooth finish is accented by striated champagne linen glass. 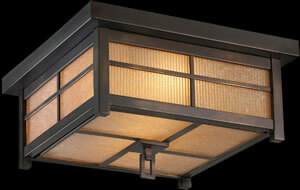 H 32" x W 13"
Medium pier mount in warm Bronze patina. 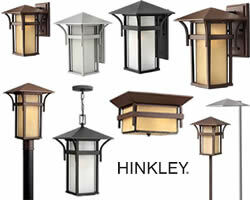 Smooth finish is accented by striated champagne linen glass. 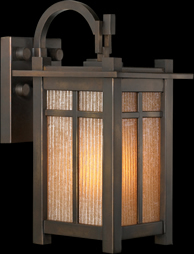 401281 Large top wall mount in warm Bronze patina. Smooth finish is accented by striated champagne linen glass. H 36" x W 15" x D 20"
Medium top wall mount in warm bronze patina. Smooth finish is accented by striated champagne linen glass. 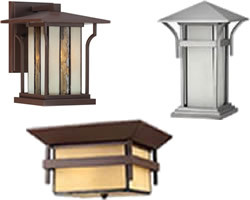 H 30" x W 13" x D 17"
H 13" x W 7" x D 9"
402181 Extra Small wall mount in warm Bronze patina. Smooth finish is accented by striated champagne linen glass. 402081 Small top wall mount in warm Bronze patina. Smooth finish is accented by striated champagne linen glass. H 25" x W 10" x D 16"